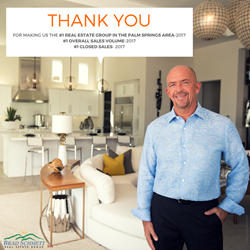 Brad Schmett of Brad Schmett Real Estate Group today announced that the upcoming February 16 - 25, 2018 Riverside County Fair and National Date Festival will offer a nice boost to Palm Springs Area real estate as thousands of revelers head to Palm Springs to join in the fun. Brad Schmett, of Brad Schmett Real Estate Group and Keller Williams Realty, announced today that The Riverside County Fair and National Date Festival scheduled for February 16 - 25 at the Riverside County Fair Grounds in Indio will be a significant enhancement for Palm Springs Area real estate thanks to the popularity of the annual event in Southern California. Veteran Los Angeles group WAR will get the party started on Friday night, February 16, to the delight of their huge fan base in the Palm Springs area. Back by popular demand they will perform their classic hits such as, Why Can’t We Be Friends?, Cisco Kid, and Low Rider. Following up on Saturday Night platinum selling country artist Chase Rice will take the stage performing some of the singles from his Lambs and Lions hit CD. Rice’s debut album, Ignite the Night was a debut at Number One on Billboard’s Top Country Albums List. Gates will open at 10 AM from Friday to Monday and at noon on Tuesday through Thursday. Purchasing tickets early will assure attendees of a discounted rate. Group rates are available and perfect weather is expected. Find out more about the Riverside County Fair and National Date Festival and about investing in La Quinta, CA real estate.